In the Bible at the beginning of Acts 3 there is a story. In a conversation this morning I was asked ” why didn’t the friends carry him into the temple?” Unfortunately, the lame man was unwanted and forbidden from entering because of his disability. He was only allowed at the gate. Are there people that you won’t let in? into your life? Into your tribe? Are you being excluded from crossing a threshold? Is this prejudice? If you are left on the outside of somewhere you want to be, do you accept the decision or yearn for it more? 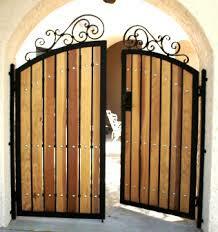 How do we get to a place where the gates are flung open? Where everyone is welcome? I imagine it will be slower than an impatient imperfectionist would like. I hope that I am aware of the gates I am closing and find a way to unlatch/unlock my mind to the possibility/probability of others.